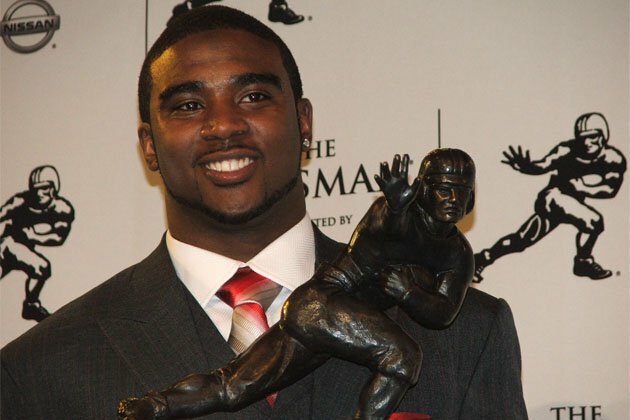 Troy Smith had such an illustrious career as the quarterback of the Ohio State Buckeyes than an ESPN analyst listed him as “Big Ten player of the decade.” In 2006, he accounted for 31 total touchdowns produced by the Buckeyes offense, and led them to the 2007 National Championship game (where Ohio State lost to the University of Florida). But standing less than six-feet tall, and not really possessing the pure passing skills that NFL teams covet, he never enjoyed anywhere near that level of success at the pro level. He spent his first three years in the NFL as a backup for the Baltimore Ravens, and started a handful of games in his lone season in San Francisco. He spent two more years in the CFL before his professional football career effectively ended.